Seena Owen was born Signe Auen in Spokane, Wash., in 1894. She performed on stage with the Alcazar Stock Company in San Francisco, but entered the movies with the Kalem Company in 1914. She later joined D.W. Griffith, but almost wasn't hired. Griffith was put off by her "cool composure" and told her she was too unemotional to be an actress. She resonded, "Then I'm an actress, because I'm trembling inside." He hired her on the spot. It was Griffith who changed her name to Seena Owen because he couldn't pronounce her real name. In her first year after being hired by Griffith, she appeared with Dorothy Gish in "Bred in the Bone" (1915), with Wallace Reid in "A Yankee from the West" (1915), with Douglas Fairbanks in "The Lamb" (1915), and starred in the Majestic feature "The Fox Woman" (1915) which was directed by Lloyd Ingraham. The next year, she was seen in the role for which she is most remembered, the Princess Beloved in Griffith's epic masterpiece "Intolerance" (1916). This was also when she met actor George Walsh, and they were married in 1916. The couple divorced in 1924 although they had separated several years before. 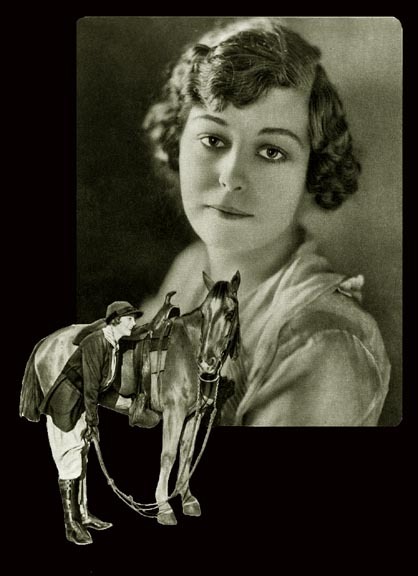 She appeared in over 60 movies between 1914 and 1933, none of them very remarkable although she did co-star with William S. Hart in "Breed of Men" (1919), Jack Holt and Lon Chaney in "Victory" (1919), "Rush Hour" (1928) with Marie Prevost, and "Queen Kelly" (1929) with Gloria Swanson. Each of these films survives today. Owen's last film appearance also survives - "Officer 13," a 1933 low-budget sound film that also includes former silent stars Monte Blue and Lila Lee. After her retirement from films, Owen began a very successful career as a screenwriter with such films as "Rumba" (1935) with George Raft and Carole Lombard, "The Thrill of a Lifetime" (1937) with Betty Grable, "Aloma of the South Seas" (1941) with Dorothy Lamour, and "The Great Man's Lady" (1942) with Barbara Stanwyck to her credit. Several former colleagues have commented on Owen's beauty in their autobiographies: Griffith camerman Billy Bitzer said, "Seena was a truly beautiful girl who needed no help from the camera." Karl Brown, who was an assistant cameraman under Griffith and went on to be one of the top cameramen of the silent era, said Owen's "lush beauty had made earlier pictures the success upon which Griffith's reputation rested. . ." Miriam Cooper, who is best remembered as Margaret Cameron in "The Birth of a Nation" (1915), called her "a beautiful Swedish girl" with whom she was very close during the making of "Intolerance." Owen died in Hollywood in 1966.